- for inspiration only / Copyright © 2007- 艦艇写真のデジタル着彩 Atsushi Yamashita. All Rights Reserved. 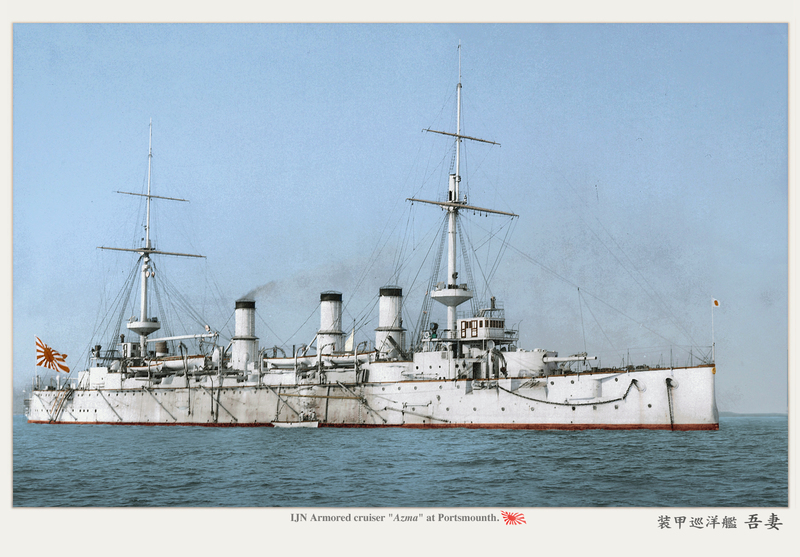 1900:IJN Armored cruiser "Azma" at Portsmounth. 前の記事： 装甲巡洋艦『出雲型』　Izumo class Armored-cruiser.